Our mission is design & implementation of the “state of the art” electronic networks, which improve the quality of the live of the 21st Century people. We try to offer to any customer allways the best value for his investment. When performances decide – we move the frontiers. Our vision is to be the engine of the technology improvements in the field of electronic networks in the region and worldwide. We want to be the best choice for the investitor and the reliable partner, and we want to allways be the attractive company for our employers. “NETIKS” d.o.o. 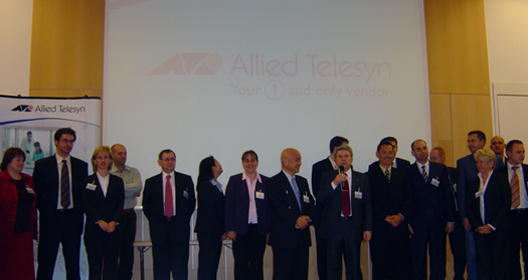 –Telecommunication Company Ltd was founded in Zagreb, Croatia, in 1992., as a private company intended to distribute, install and maintain active networking and cabling equipment, in the region and outside. Netiks employers are certified for design & installation of electronic communication networks and belonging cabling systems, based on the fiber optics and the copper transmission media. As the engineering company, NETIKS d.o.o. is specialized for the implementation of “the state of the art” solutions in the field of electronic networks & cabling systems. Fiber optics is company’s dominant technology orientation implemented in many installations, but our technicians are very familiar with copper based networks, too. In everyday’s work high technology equipment is applied in our installations, generally imported from United States, Japan or western European countries. On the basis of good initial jobs, NETIKS d.o.o. contracted distributor agreements with very reputable LAN/WAN & cable equipment manufacturers. Now Netiks is able to offer everything for communication networks: from small connectors to high end switches & gateways, including installation and maintenance according to the newest international standards and regulations. Company is certified by Croatian goverment for planinig, designing, supervising and maintaining electronic networks and cabling installations inside and outside business and residential buildings. Following technology expansion in the 21st century, Netiks extends the portfolio to the other high tech vendors, for better customer servicing. Netiks‘s technical staff is trained inside & outside Croatia, and it’s technicians are the owners of the internationally valid technical Certificates (BICSI validated). They also achieved Croatian certificates according to domestic and EU regulations and obligations (authorized designer and the member of Croatian Chamber od electrotechnical engineers – HKIE). The present technical knowledge inside the company together with the good company organization, and own storehouse ready for immediate delivery of communication products, is the guarantee for quality service to business partners and customers. In the Netiks Reference List you can find a lot of different installations: from smaller computer networks to the very big communication systems, even international fiber optic active links, up to few thousand of connections inside the unique network, etc. In many of them, very complicated and “state of the art” communications scenarios were implemented, with extra high realiability and high efficiency, up to the speed of 10GbE. Some references outside Croatia: Syria, Austria, Bosnia etc are also the part of our technology knowledge image. At the end of y.2004, a Netiks built its own new office building, with 4 office floors 200m2 each, and a regal warehouse of 300m2. This enabled Netiks in much better servicing of customers and partners. Netiks also became the techology education center, what makes company knowledge more powerfull. More then a hundred of partners for Croatia and outside it finished these trainings and achieved the status of certified installers or designers. Company is also present with the own scientific papers and the articles on international and domestic conferences in the field of communications (reference KOM Conference under the Ministry of Science RH). In May 2010, Netiks achieved ISO 9001:2008 Certificate, trying to further improve the quality of its services to the partners and customers. For Netiks Partners, there are a plenty of commercial benefits: good discounts based on quantity ordered or permanent partner discounts for faithfull customers, delayed payment or atractive “cassa sconto” for ones who want to pay in advance, and a good tech support. Following the new trends in broadband market, Netiks is present in the installation of FTTH/FTTB communication infrastructure of existing service providers. More then 30.000 FTTH/B fiber connections realized from y.2006 until today, for different telco and cable operators and many installations in the provider’s “long haul” fiber backbones (some international!) speeks enough about Netiks technology orientation for 21st century. 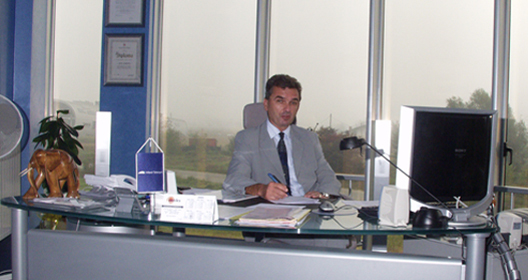 From 2010 g., considering the general recession in Croatia, Netiks has expanded its activities to the design and construction EKM networks in industrial plants, integrating their processes automation installations across modern network infrastructure, with the target to increase the volume of the production and plant safety. Therefore it is not surprising that we have references in the petroley and metal processing industry. Satisfied customer is the main mission of NETIKS d.o.o. company policy today and in the future. HKZP – CROATIAN FLIGHT CONTROL CENTRE, Zagreb, (2006-2014), FTTH SOPNICA-JELKOVEC, Zagreb, (2008-2010), “ABS” (former “CMC”) IRON PLANT, Sisak, (2008-2013), STATE AGENCY FOR BANK REHABILITATIONS, Zagreb, (2014), ZATON Apartments, Zadar, (2013) “SCHENKER”, Zagreb, (2010), HOTELS “BABIN KUK”, Dubrovnik, (2009), “BNET” CATV PROVIDER, Zagreb, (2007-2010), CROATIAN TELEKOM (“HT”) – FTTH Varaždin/Čakovec, (2008-2009), HOSPITAL “ŠIBENIK”, Šibenik, (2008), FTTH “VODATEL”(METRONET), Zagreb, (2006-2007), GANAMA-HPC PIPELINE, Syria, (2008), INA-STSI, Syria, (2006-2007), PLINACRO, Pula-Slav.Brod, (2006), PETROLEY PIPELINE “JANAF”, Sisak-Slav.Brod, (2007), CROATIAN RAILWAYS (“HŽ”), Zagreb-Hungary, (2006), INA NAFTAPLIN, Zagreb, Šubićeva, (1997,2002), TOWN GOVERMENT “RIJEKA”, Rijeka, (1998,1999), ĐURO ĐAKOVIĆ-TEP, Slavonski Brod (1997,1998) , ERICSSON-NIKOLA TESLA, Zagreb , (1998-2003), AMBASSY OF USA, Zagreb, (1998), ALUMINIUM MANUFACTURING PLANT “TLM”, Šibenik, (1998), PAPER MANUFACTURING PLANT “BELIŠĆE”, Belišće, (1998), CONCRETE PLANT “NAŠICECEMENT”, Našice, Zagreb, (1995-2003), ZEPTER INTERNATIONAL, Zagreb,Split, Našice, (1995-1999), MAGMA d.d., Zagreb,Osijek,Rijeka (1996-1998), TEKSTILNI KOMBINAT ZAGREB, Zagreb, (1998), COPYGRAF, Zagreb (1998),), BANK “SLAVONSKA BANKA”, Osijek (1998-1999), SHIPYARD “VIKTOR LENAC” , Rijeka (1999), ŠIMEK PRIGORJE, Vrbovec, Sesvete (1999), AUTO MAKSIMIR, Zagreb (1997), BMW TOMIĆ, Slavonska, Zagreb (1998), AUTO LEASING, Zagreb (1998), SHIPYARD, Split , (1998), SIRELA , Bjelovar, (1993, 1998), ISTRAVINOEXPORT, Rijeka, (1993, 1996-98), GALIĆBENZ, Soblinec, (1998), FERAVINO, Feričanci, (1998), NAŠIČKI INTERIJERI, Našice, (1998), GHETALDUS, Zagreb, (1998), STADION “DINAMO” MAKSIMIR, Zagreb, (1998), LUTRIJA HRVATSKE, Zagreb, (1995,1998), ZAGREB BACKERY “KLARA”, Zagreb, (1995, 1999), DOM ZDRAVLJA Bjelovar (1995, 1997), BOLNICA Bjelovar (1995, 1997), CROATIAN CHAMBER , Zagreb, (1996), SUGAR PLANT “VIROVITICA”, (1995), HOTEL “HTP MAESTRAL”, Dubrovnik, (1995), IPIM, Zagreb, (1995), PREM COMPUTERS-AUSTRIA, Wien, (1994), TEKSTILPROMET, Zagreb, (1991), PODRAVKA, Koprivnica, (1994), INTERNATIONAL RED CROSS, Zagreb, (1995, CARNET, Zagreb, (1995,1996), MINISTRY OF CONSTRUCTION, Zagreb, (1996,1997), INA- RAFINERY RIJEKA, Rijeka, (1995), GRO BOSNA, Gradačac, BiH, (1996), CROATIAN ROADS (“HC”), (2000), TOWN GOVERMENT OPATIJA, Opatija (2000), “PONIKVE” WATER SUPPLY, Island KRK (1999-2003 DTM! ), HNK, Zagreb (2002 Volition! ), “INA” OIL PLANT, Rijeka (2003), “CROSCO” PETROLEY SERVICES, Zagreb-Ivanić Grad (1999-2002 i Volition! ), DILJ, Vinkovci (2002), UNIVERSITY OF TOWN RIJEKA, Rijeka (2002-2003), HOSPITAL “SESTRE MILOSRDNICE”, Zagreb, (2001,2002), HOSPITAL “FRAN MIHALJEVIĆ”, Zagreb, (2002), HOSPITAL “Sv. DUH”, Zagreb, (2002), HOSPITAL KBC “DUBRAVA”, Zagreb, (2003) i etc….